What Happens When you Send a TX via MyEtherWallet?steemCreated with Sketch. Good explanatory graphic. Up- and restemeed. I still wait for the ethereum from coinbase to arrive. Wanted to buy EOS with it. Oh... I think you should've sent it yesterday. The network will probably get clogged. And it's not confirmed?! 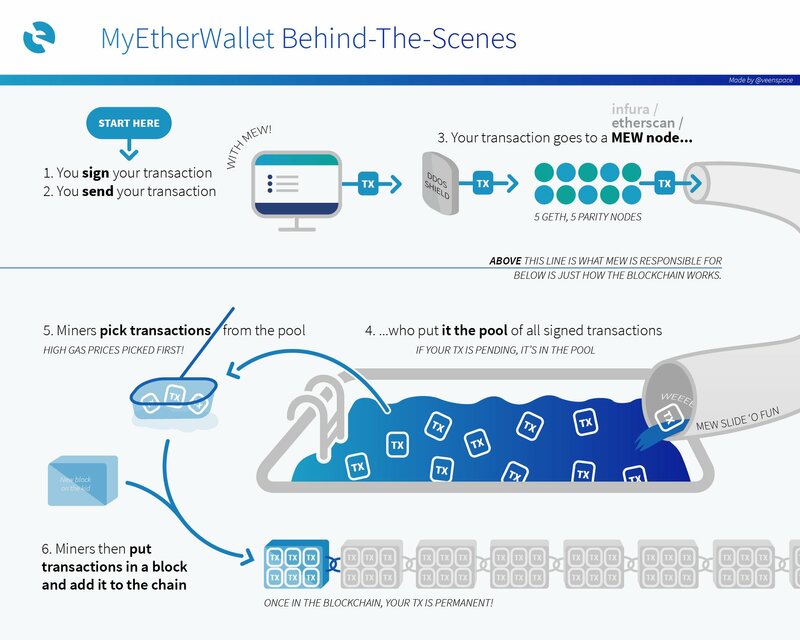 😮 Did you check the transaction on etherscan.io? Yes, also checked coinbase. It is blocked there.